An important new campaign within the travel industry, Too Rare to Wear, is recruiting tourists traveling to the Caribbean and Latin America to inspire them to be part of the solution and help people learn how to avoid buying hawksbill souvenirs (aka “tortoiseshell”, which is a misnomer). These products are surprisingly common in markets and souvenir shops in the region even though they are illegal to sell in most places. 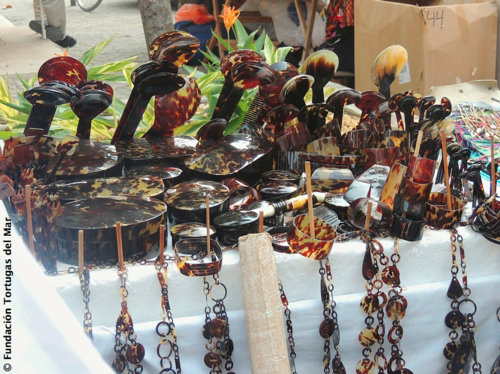 In Cuba, hawksbill shell products are available in nearly 70 percent of souvenir shops; in Nicaragua in 90 percent of shops according to recent surveys. A five-year study in Cartagena, Colombia, showed an average of more than 2,000 hawksbill shell items sold per year by a group of vendors. Travelers and the travel industry at large can play an important role in bringing these incredibly beautiful and important creatures back from the brink of extinction. We’ve witnessed how educating consumers about issues like elephant ivory, rhino horns, and shark fins can help reduce demand for wildlife products. We hope to bring attention to hawksbills up to the level of these other animals. The diverse coalition behind Too Rare to Wear educates travelers about these products and how to easily recognize them. Tourism, media, and conservation organizations have begun informing visitors that these products contribute to the possible extinction of an endangered species, that the products are illegal to sell, and that bringing them back into the country could pose problems for the buyer. 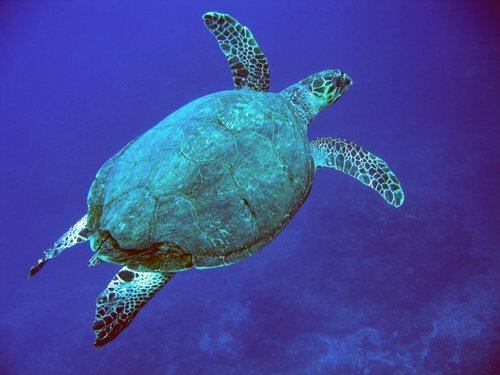 Too Rare to Wear unites a coalition of conservation organizations, tour operators and tourism partners, media outlets, and others that support sea turtle conservation and promote ecotourism around the world. 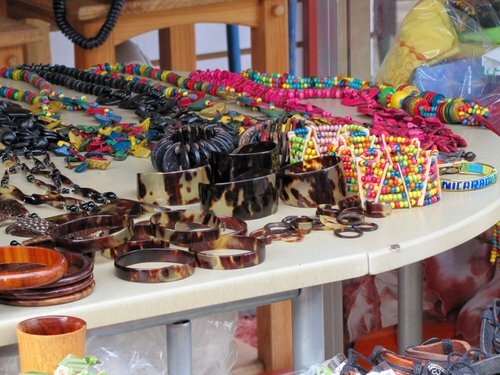 The general public is encouraged to go online, sign, and share a pledge to shop carefully at souvenir stands and avoid any products made of turtle shell, including bracelets, earrings, rings, guitar picks, combs, and fans. “Seeing a wild turtle swimming on a reef or from a beach while helping to release hatchlings is a powerful source of awe and wonder. It can inspire future wildlife conservation leaders, promote creativity and artistic responses, and make life a little more wondrous and worth living,” said Wallace J. Nichols, PhD. and Research Associate at the California Academy of Sciences. Nichols is the Founder of Blue Mind Life: Reconnecting People to Water and author of the national bestseller: Blue Mind (Little, Brown & Company). Too Rare To Wear is a non-profit project of The Ocean Foundation. For more information on the campaign and to pledge support please visit: http://www.tooraretowear.org/. Brad Nahill is the campaign manager of Too Rare to Wear and the co-founder of SEE Turtles.“ He has worked in sea turtle conservation, ecotourism, and environmental education for more than 15 years with organizations including Ocean Conservancy, Rare, and Asociacion ANAI (Costa Rica). He has also consulted for several ecotourism companies and non-profits, including Paso Pacifico, EcoTeach, and the National Wildlife Federation. Brad is a co-author of the Worldwide Travel Guide to Sea Turtles, chair of the Awards Committee of the International Sea Turtle Society, and has authored several book chapters, blogs, and abstracts on turtle conservation and ecotourism. Brad has a BS in Environmental Economics from Penn State University and taught a class on ecotourism at Mount Hood Community College in Oregon.